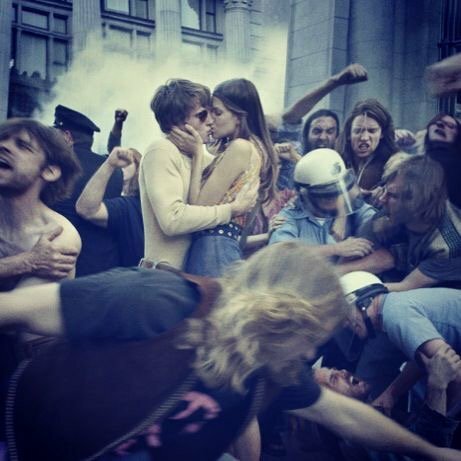 Claim: this is a photo of a couple kissing in the 1971 May Day Protests. The claim is false. 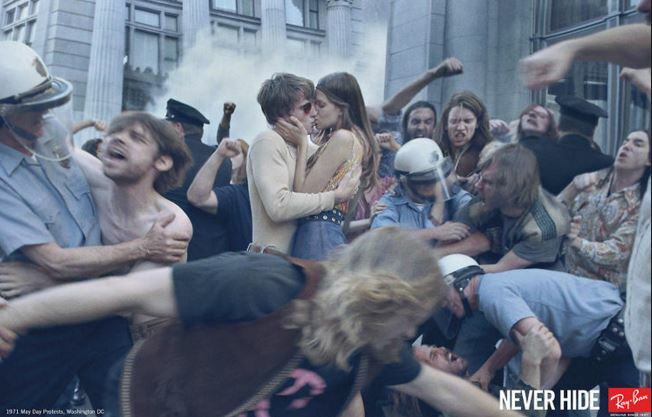 This is a Ray-Ban advertisement photo from 2012 called “The Kiss”.